YOUR INTENSIVE CARE HOTLINE - WHAT THE DOCTORS AND THE NURSES BEHAVIOUR IN INTENSIVE CARE IS TELLING YOU ABOUT THE CULTURE IN A UNIT! WHAT THE DOCTORS AND THE NURSES BEHAVIOUR IN INTENSIVE CARE IS TELLING YOU ABOUT THE CULTURE IN A UNIT! You can check out last week’s BLOG by clicking on the link here. Your loved one has just been admitted to Intensive Care and is being treated for their critical illness. You feel like some of the doctors and nurses are talking at you and over you and don’t necessarily talk with you or talk to you. You feel like you are not in a good place and you may feel like there is a big barrier between you and the health professionals that are in charge of your critically ill loved one’s destiny. You may have been asked to get out of the room or the cubicle every time the doctors are doing their ward round and examine your loved one and you may have wondered whether they’ve got anything to hide. When you are allowed to come back, they have already moved on and the bedside nurse is giving you a summary of the plan ahead. Of course you can wait for one of the doctors to talk to you later in the day what is going to happen to your critically ill loved one. About 10 minutes later the bedside nurse is asking you kindly to leave the room again, as she wants to “quickly” turn your loved one to the other side so that he or she doesn’t get a pressure sore. 10 minutes go by and even half an hour, before you are “allowed” to get back in. Would the Intensive Care team want to be treated like that? You realize that you have little or no control, let alone have a say of what’s happening to your critically ill loved one. The very person that you share a house with, the very person that you love or the very person that is of your own flesh and blood. All of a sudden there are people creating all these barriers around you and you feel like you are in this big machinery that you can’t control. You wonder whether the doctors and nurses would want their own family be treated like that? THE 7 ANSWERS TO THE 7 MOST FREQUENTLY ASKED QUESTIONS IF YOUR LOVED ONE IS A CRITICALLY ILL PATIENT IN INTENSIVE CARE! FOLLOW THIS PROVEN 6 STEP PROCESS, ON HOW TO BE POWERFUL, IN CONTROL, INFLUENTIAL AND HAVE PEACE OF MIND, IF YOUR LOVED ONE IS A LONG-TERM PATIENT IN INTENSIVE CARE OR IS FACING TREATMENT LIMITATIONS IN INTENSIVE CARE! It doesn’t have to be that way, but most Intensive Care Units or even some individual health professionals are still creating those barriers between health professionals, Patients and their Families. 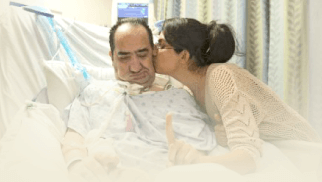 Some units are more progressive than others, but you probably have a feel by now of the things that could be improved in order to make you and your family more comfortable with what is happening with your critically ill loved one. Health professionals in Intensive Care are like fish in water and they often don’t even realize how the people who are not in the water may feel. 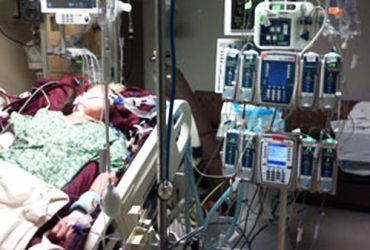 A recent article suggested that “Decisions to forgo life support may depend heavily on the ICU where patients are treated”. 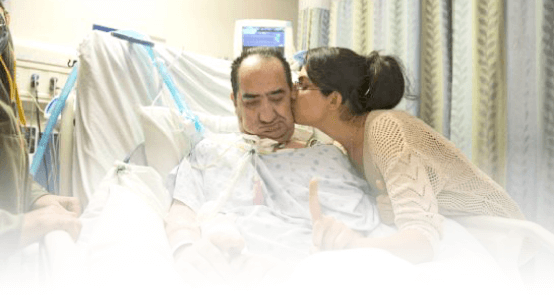 The article explains how the culture in an Intensive Care unit or in a hospital impacts on the care provider’s decision making around life support or withholding CPR or withholding mechanical ventilation. 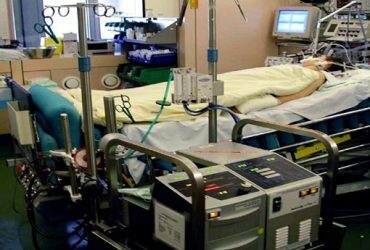 The article suggests that the ICU culture is the biggest influence on a Patient’s treatment, coming before Patient and Family preferences. How can you get PEACE OF MIND, control, power and influence quickly, whilst your loved one is critically ill in Intensive Care? In Your FREE “INSTANT IMPACT” report you’ll learn quickly how to get PEACE OF MIND, real power and real control and how you can influence decision making fast, whilst your loved one is critically ill in Intensive Care! 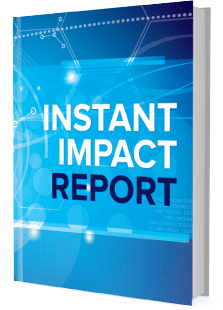 Your FREE “INSTANT IMPACT” Report gives you in-depth insight that you must know whilst your loved one is critically ill or is even dying in Intensive Care! 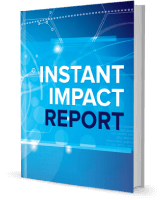 Sign up and download your FREE “INSTANT IMPACT” REPORT now by entering your email below! In your FREE “INSTANT IMPACT” REPORT you’ll learn how to speak the “secret” Intensive Care language so that the doctors and the nurses know straight away that you are an insider and that you know and understand what’s really happening in Intensive Care! Thank you for tuning into this week’s “BLOG” and I’ll see you again in another update next week! Make sure you also check out our “YOUR QUESTIONS ANSWERED” section where I answer your questions or send me an email to [email protected] with your questions! Or you can call us! Find phone numbers on our contact tab. Also check out our Products section where you get more Ebooks, Videos and Audio recordings and where you can also get 1:1 consulting with me via Skype or over the phone by clicking on the products tab!